The infrastructure should be deployed in combination with grid edge technologies — such as decentralized generation, storage, and smart buildings — and integrated in smart grids, while at the same time offering a digital end-to-end customer experience. This will magnify the benefits of grid edge technologies: increasing reliability, resilience, efficiency, and asset utilization of the overall system; reducing CO2 emissions; creating new services for customers; and creating new jobs. The convergence of energy and mobility. EVs can be used as a decentralized energy resource and provide new, controllable storage capacity and electricity supply that is useful for the stability of the energy system. In markets where regulation allows EVs to be used as a source of flexibility, energy players start betting on this vision, with cars working as “batteries on wheels.” For example, in a pilot project in Denmark, Enel and Nissan set up the first vehicle-to-grid (V2G) commercial hub: by selling frequency regulation services for system balancing purposes to the Danish transmission system operator (TSO), a car can generate around €1,500 in annual revenue. At the EUREF Campus on the outskirts of Berlin, the EV charging stations are integrated in the local micro smart grid with solar and wind generation. The micro grid’s artificial intelligence and machine-to-machine learning capacity actively optimizes EV charging. It controls the charging demands to match the network capacity and sends energy surplus back to the grid based on dynamic pricing. This creates a system where electricity is supplied, stored, and potentially sent back actively and intelligently. In this context, all new constructions at the campus are sustainable buildings and as of 2014, the EUREF Campus had already met the German government’s climate targets for 2050. On both fronts, the convergence of energy and mobility must be strategic, intentional, and guided, if cities and citizens are to receive the maximum benefits. The energy sector will have to accelerate the path toward a cleaner, more digitalized and decentralized system, yet one that is more connected and customer centric. Enabling dynamic pricing and creating new roles for network operators by redesigning the regulatory paradigm will be vital to this strategy. The mobility sector will have the opportunity to develop new business models based on service and sharing models, and the new uses and services associated with EVs as decentralized energy resources. All stakeholders will be critical to ensure a seamless customer experience, by supporting the deployment of a flexible, open, and multiservice infrastructure. A great planning for transformation is required fordeveloping a workable policy in favour of the migrating rural demography… This surely would lead to agrarian emergecy in rural industry and agriculture … Rather it would be our endeavor to evolve our industrial and ecomic bases more in the rural areas , … Congesting the population at urban centres or semi urban centers would create a chaotic condition …. The key issue in large cities for charging vehicles is real estate for charging stations. Cities like ny London mumbai etc have no space and existing petrol bunks are to be used. 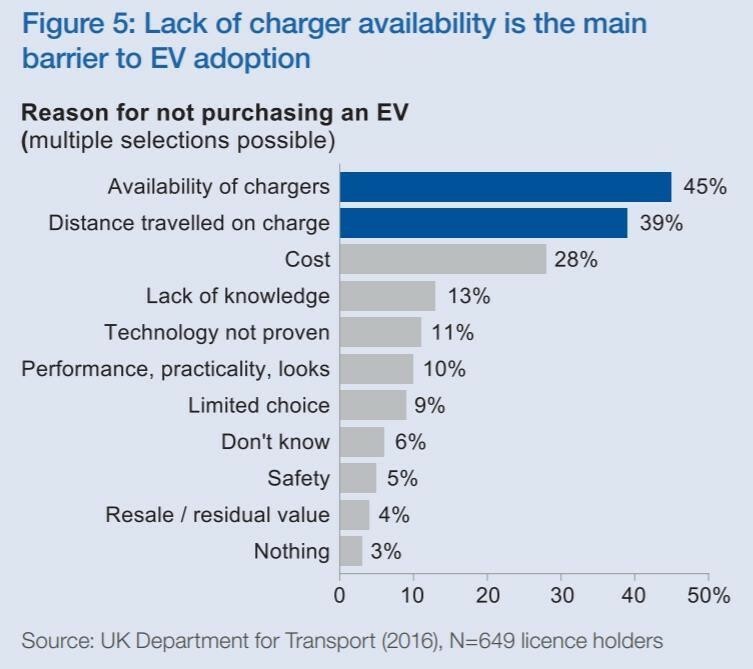 The issue is also time taken for charging a single car the longer it takes larger is the space required for charging stations. How do we address these issues. Mobile charging stations. Does it solve the problem. This is a great article. They are indeed connected and on both ends, the discussion has shifted from simply environmental to economical. For example, the recent increase in gas prices will help EV’s and batteries in general. Adoption around education will be key. When I compare say the Model 3 on sites like zappyride.com and autoblog.com there is no comparison. Tesla beats combustible engine any day. Its all about value. Batteries as a Service: this is exactly the king of new paradigm which you are describing in this excellent analysis. Please have a look at EP Tender’s web site. Seems like a good match with your vision.